Wreck-It Ralph is back--and he's on a wild internet adventure! Join Ralph, Vanellope von Schweetz, and a bunch of crazy new friends on their internet journey in this awesome sticker book. Learn about your favorite characters, discover cool vehicles, and explore wonderful new worlds. 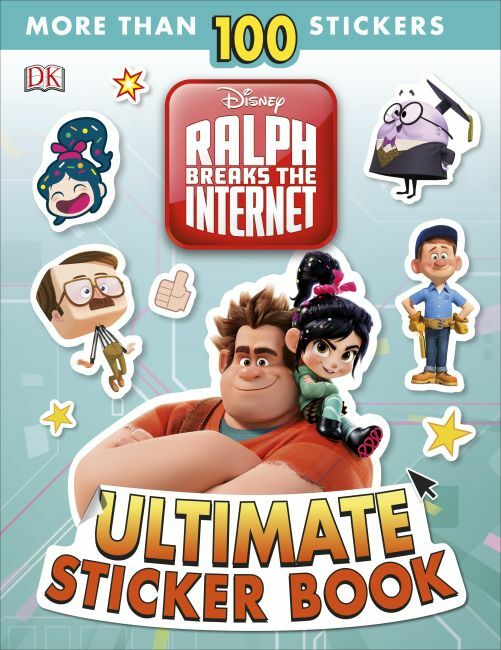 Ralph Breaks the Internet: Wreck-It Ralph 2: Ultimate Sticker Book is packed with more than 100 colorful stickers from the new Disney movie, including charming characters and exciting scenes. Ultimate Sticker Book: Disney Tsum Tsum Stick and Stack!